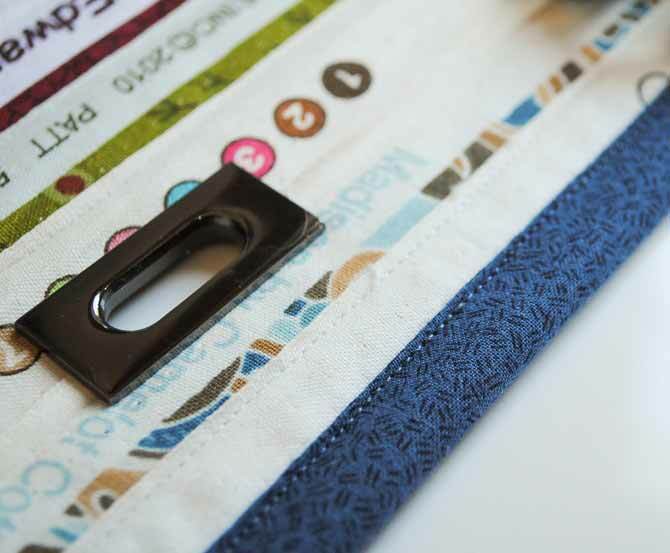 Yesterday on QUILTsocial I showed you how to use the sideways stitching feature on the NQ900 to sew handles onto our selvage project bag and today we’re going to finish that bag by adding vinyl pockets. 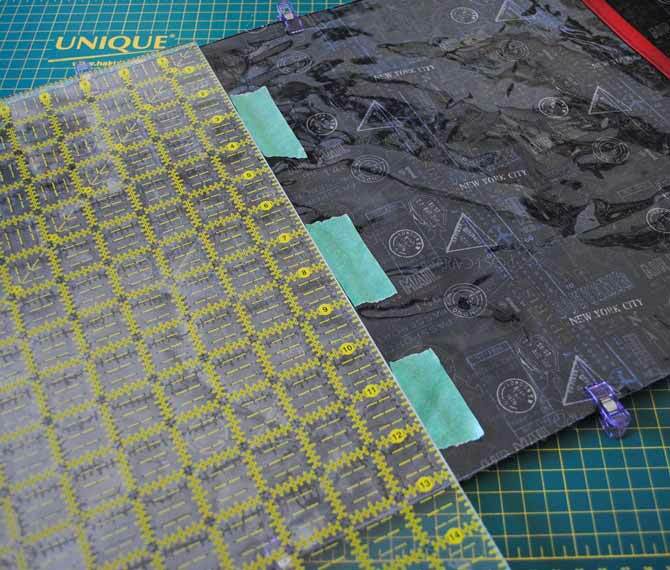 Don’t worry if you’ve previously struggled with sewing materials like this, because today I’ve got 6 useful tips for sewing with vinyl. You can’t iron your vinyl flat, so put it on top of your cutting board and use a hairdryer to heat it up – it will flatten out nicely! Vinyl is SLIPPERY. Especially when you’re trying to cut it on your cutting board. In order to keep it from moving, roll up a couple pieces of LOW TACK tape (like painter’s tape) and put it under two corners of the vinyl. Take it from me – DON’T use packing tape or scotch tape as they will leave a sticky residue on your vinyl that is impossible to remove! For this project, use the markings on the cutting mat and cut the vinyl into a rectangle that is 13″ x 22″. A piece of painter’s tape keeps the vinyl from sliding. 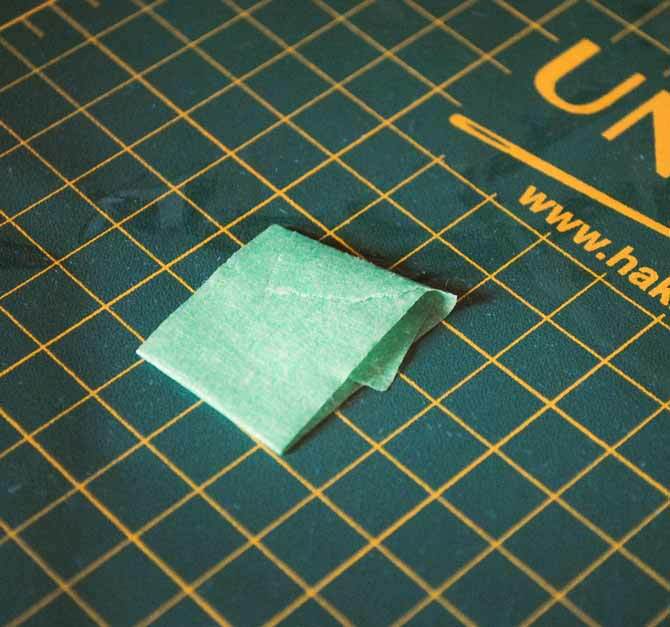 Cover any edges that won’t be encased in a seam, with a trim of fabric. 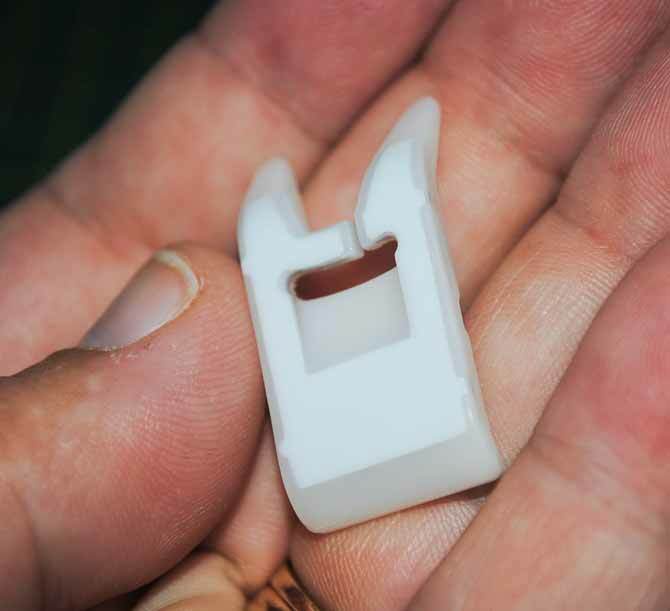 This will reinforce the edges AND make them less sharp to your hands. For this project I cut two pieces of fabric 2″ x 14″ and double folded them lengthwise (and pressed) so that the raw edges were folded into the middle of the strip. I then slipped these fabric strips over the short edges of my vinyl rectangle and top stitched them using the “J” foot of my NQ900 sewing machine. 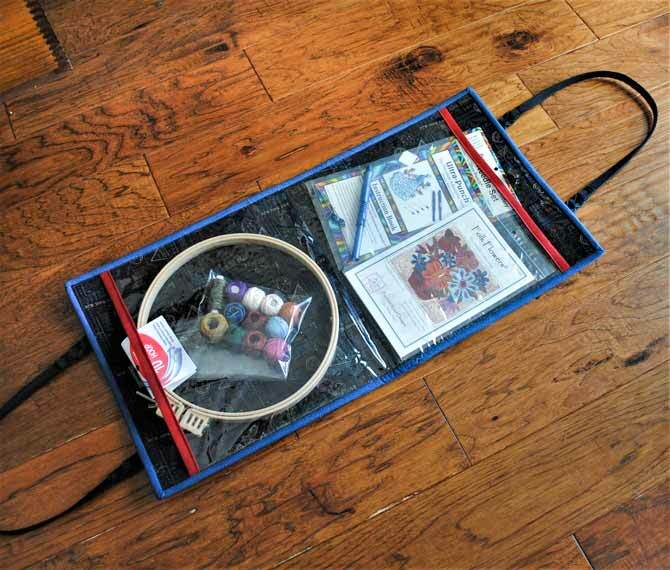 Use clips to keep everything together when sewing! You can’t pin the vinyl, unless you do it right in the seam allowance, because it leaves holes in the material. Clever Clips from Unique work really well for holding everything in place securely! 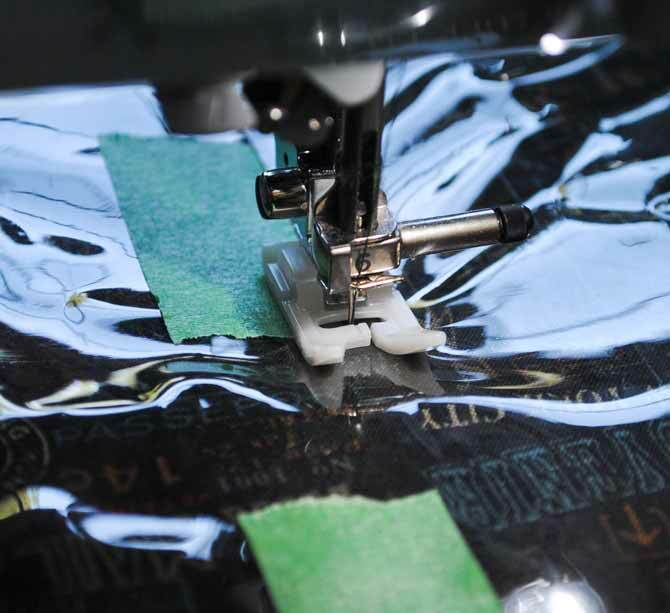 Use painter’s tape to mark where your sewing lines will go. 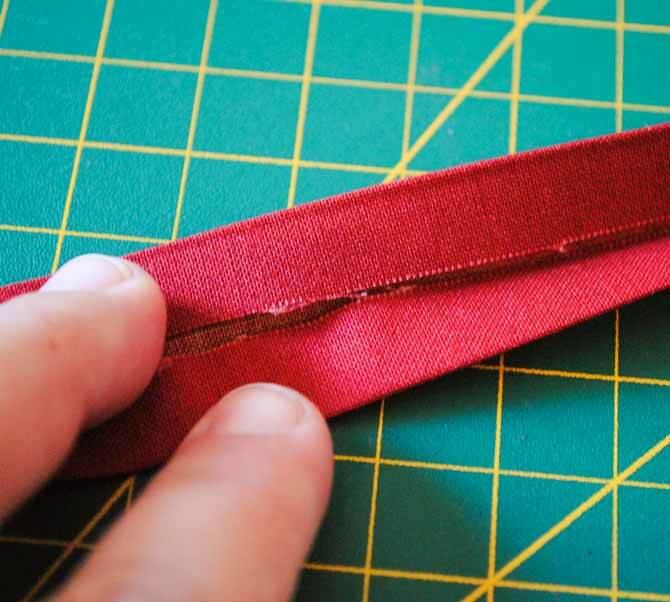 You can sew right along the edge and then easily remove the tape. For this project I measured in 13″ from one of the ends to find the center of the bag and marked the line with painter’s tape. 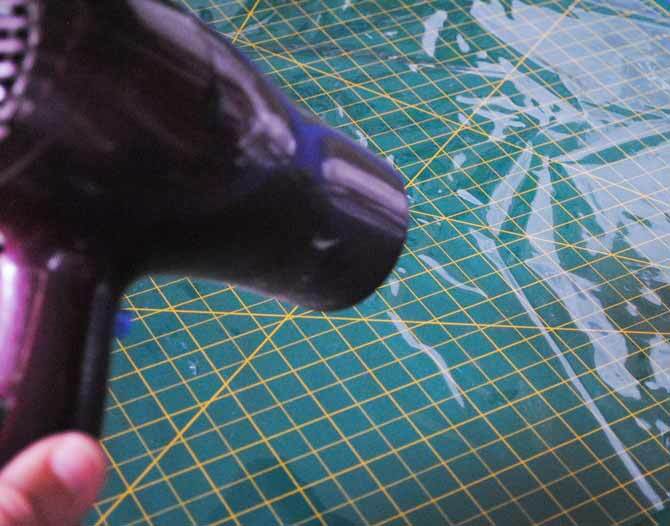 Use a NON STICK foot on your sewing machine. Who knew that these even existed??? The NQ900 non stick foot is a plastic foot with a special coating on the bottom that can be used with leathers or vinyl fabrics. I couldn’t believe how wonderfully this foot worked for sewing the vinyl on this project! I’ve tried in the past to sew vinyl with my old sewing machine and found it so frustrating!! This foot didn’t stick at all. I sewed a straight line across the center of the vinyl to divide it into two separate pockets and then removed the painter’s tape. Our bag is almost finished!! Sew the binding to the inside of the bag along all four sides. 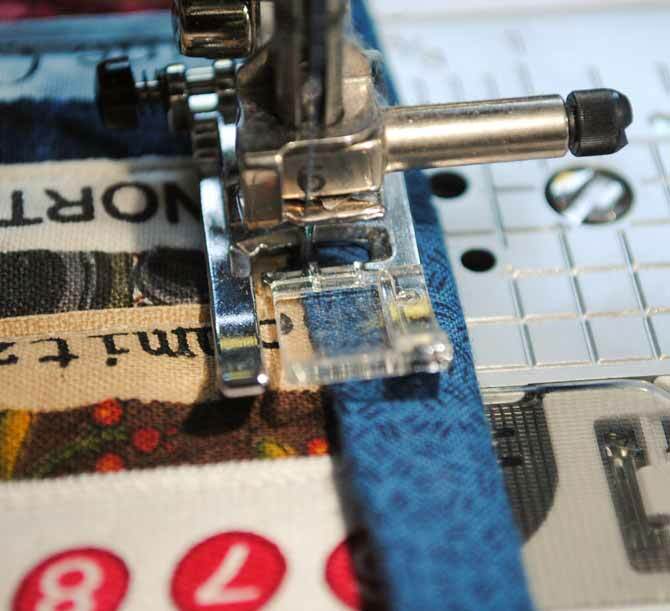 If you would like more information about sewing on binding, check out Elaine’s QUILTsocial post from April 2015 where she walks you through step by step instructions. 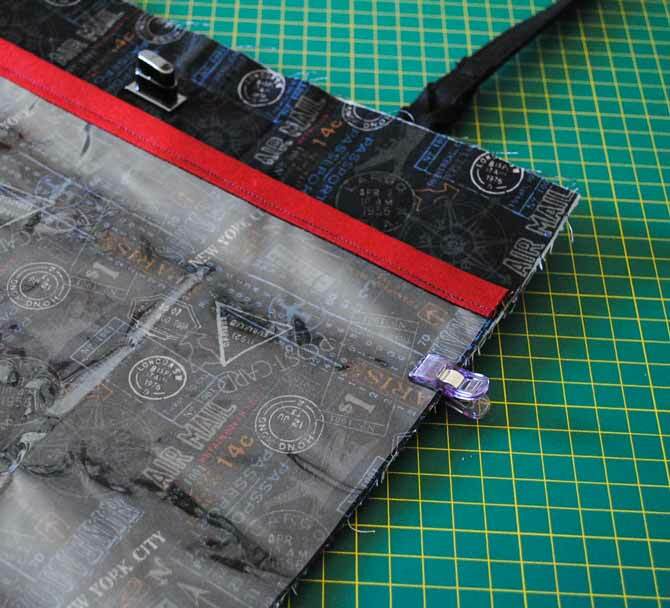 Now, fold the binding to the OUTSIDE of the bag and use your pins or clips to hold it in place. Now here’s another one of my favorite features of the NQ900. I discovered this by accident this month when I made six baby quilts and many tablerunners and placemats and had miles of binding to sew on. I decided to do all of the stitching by machine instead of doing any of it by hand and decided to use the “P” group of stitches – the ones that are used for piecing. You can alternate between stitch 29 (which gives you a ¼” seam) and stitch 30 (which stitches in the center of the foot) without having to switch the foot. The greatest thing though is that when you use the “J” foot with stitch 30 to top stitch the binding on the front of the quilt, the needle is in the center of the foot BUT the open part of the foot is off to the left side (so the folded edge of your binding doesn’t get caught in it) AND the clear plastic part of the foot makes it incredibly easy to see what you’re stitching!! Continue stitching all the way around the bag. Your bag is now finished!! 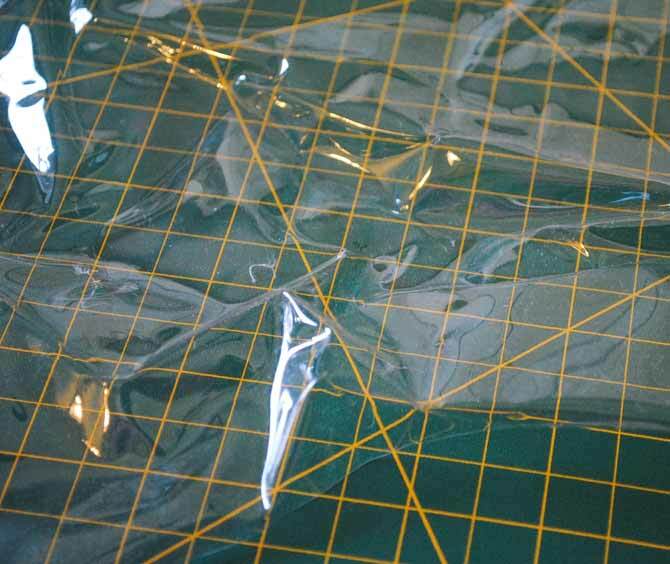 You can slip all of your hand stitching (or punchneedle) supplies into the large clear vinyl pockets. Fold the bag in half and secure the turn clasp and you’re ready to go wherever your travels take you! I’ve had so much fun this week making this selvage project tote with my NQ900 sewing machine and I hope you’ve enjoyed seeing how I did it. 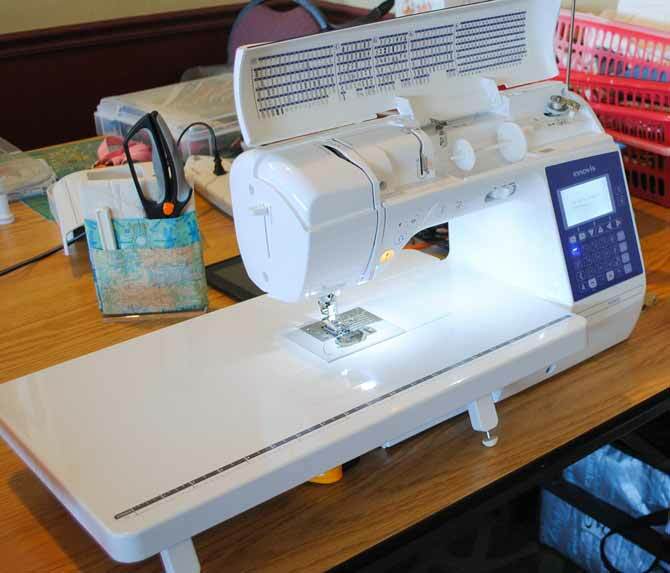 As you’ve seen, the NQ900 from Brother has so many great features that make sewing and quilting easy and enjoyable! Join me again next month when I’ll make another project with my new sewing machine. 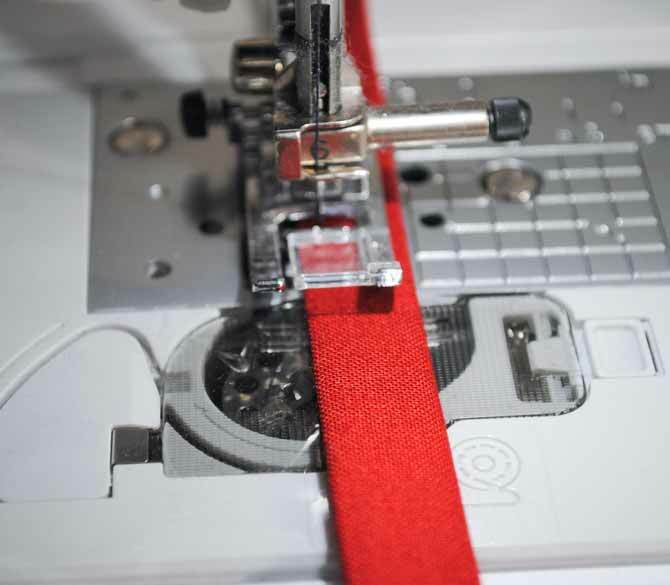 Is a longer stitch length needed for sewing vinyl? Would a shorter stitch length cause the vinyl to tear? Special needles? By the way, I really like your tip about using the blow dryer to get rid of wrinkles! Thanks for the tips! Sure helps with our confidence levels. Very helpful! 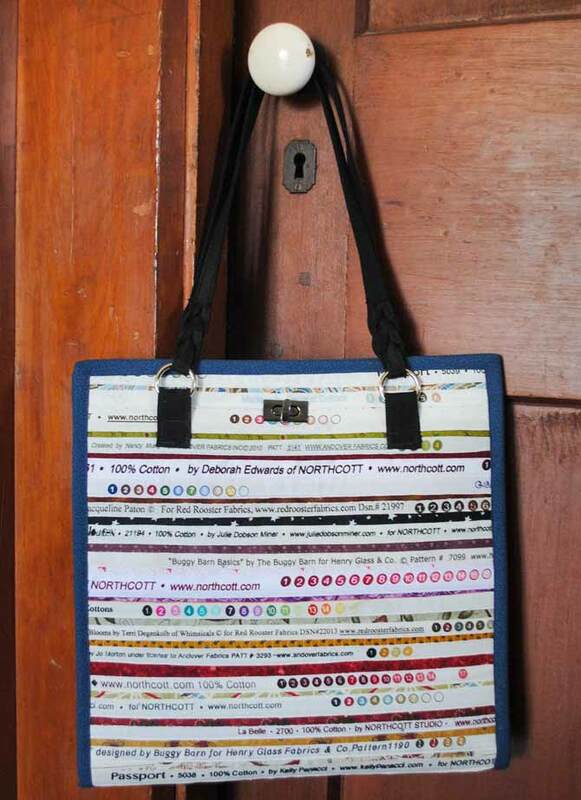 I’d love to make vinyl bags for gifts, and found a great pattern, but whenever I turn it inside out, it mars and dents the vinyl , making it unsightly. I tried a lighter weight vinyl but still had the problem. How can it be turned inside out without damaging it?